Not initially called astronomers they were assistants, or human "computers," or Pickering’s Harem after Edward Pickering, a director of the Harvard Observatory. 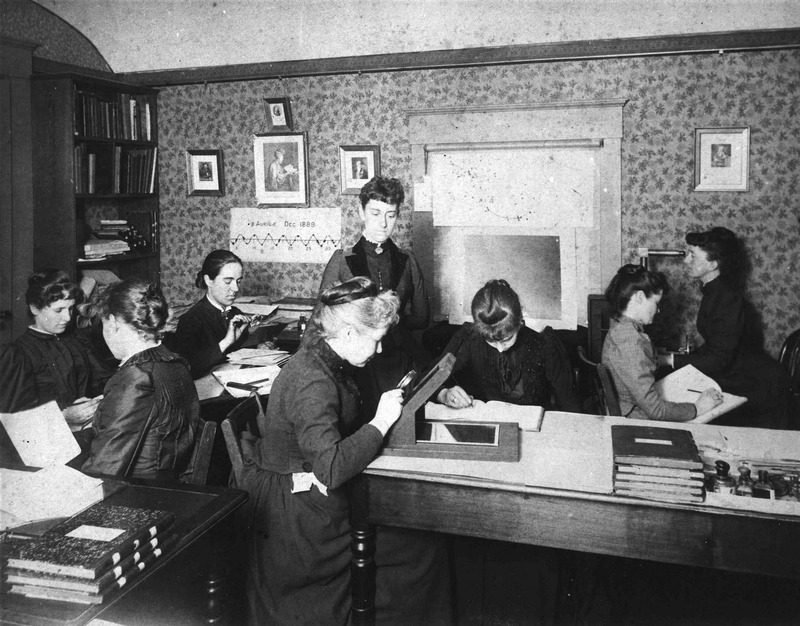 According to Dava Sobel, writing in The Glass Universe, they were the ladies of the Harvard Observatory who took measure of the stars. Edward Pickering, it turns out, insisted on crediting these hard-working women who studied, compared, classified and catalogued data about stars photographed by men on thousands of glass plates. Sobel takes up their story in The Glass Universe, and will share it at this Behind the Glass lecture. A former New York Times science reporter, Sobel is the award-winning author of six books. The Glass Universe was listed in the New York Times 100 notable books of 2017. Following the lecture, there will be a book signing with Sobel. Museum Members at the Donor level and above ($135) are invited to attend a private reception before the lecture at 5:30 pm. Please RSVP to +1 (607) 438-5600 or membership@cmog.org by April 9. Not a member? Join today! Behind the Glass lectures take place the second Thursday of the month. These events include the Museum’s popular Meet the Artist lectures, as well as talks by curators, writers, and historians. All lectures are free and open to the public. Watch lectures on our YouTube Channel.